Composed by William Bay. Squareback saddle stitch, Liturgical, Style, Gospel/Sacred, Tunebook. Sacred. Book. 112 pages. Mel Bay Publications, Inc #93981. Published by Mel Bay Publications, Inc (MB.93981). ISBN 9780871666963. 8.75 x 11.75 inches. 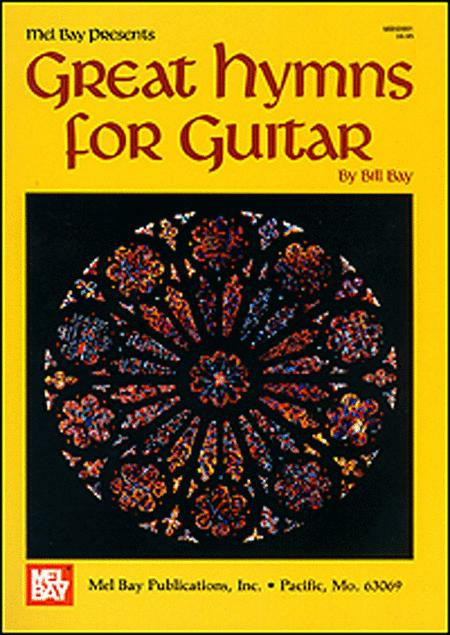 A deluxe, comprehensive collection of popular hymns harmonized for guitar accompaniment to singing. Accompaniment is in notation and tablature. Contains over 100 hymns, including a Mighty Fortress; Jesus Shall Reign; and My Faith Looks Up to Thee. Chord symbols are provided. 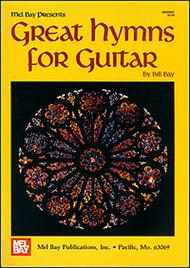 All guitar accompaniment parts are written in standard notation and tablature. Stand Up, Stand Up for Jesus Performed by George J. Webb, Words: George Duffield Jr.